Judge Dredd first appeared in the British science fiction comic book 2000 AD in 1977. 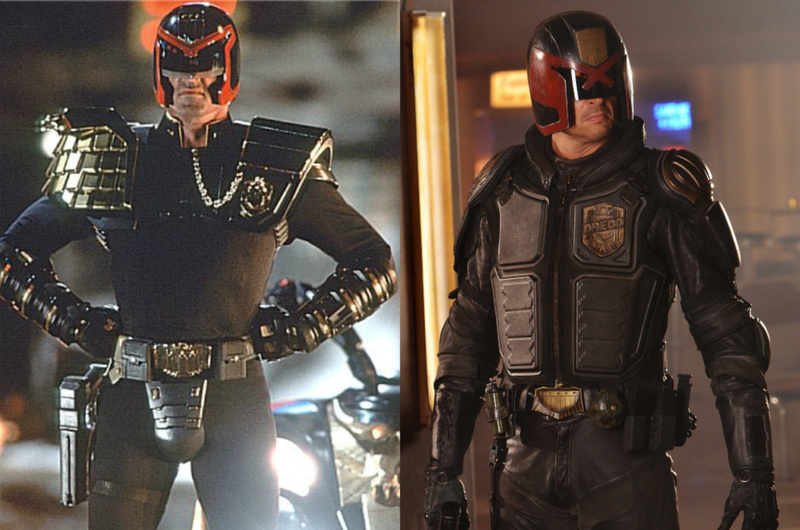 In 1995 he made his first screen appearance in the movie Judge Dredd starring Sylvester Stallone. This was the first mistake, in casting a megastar Dredd spent most of the movie without his helmet, Dredd’s face has never been seen in the comic book. They could have got away with this given a great script, unfortunately they didn’t have one. The story wasn’t bad, it just wasn’t very Dredd and it played things too funny and camp. Again they may have gotten away with this, but Rob Schneider as a sidekick was the movies final proverbial nail. Diane Lane, Armand Assante and Max von Sydow provide good support but this is a drop in the ocean in comparison to all the films problems. So how does this new version compare? Surprisingly well. 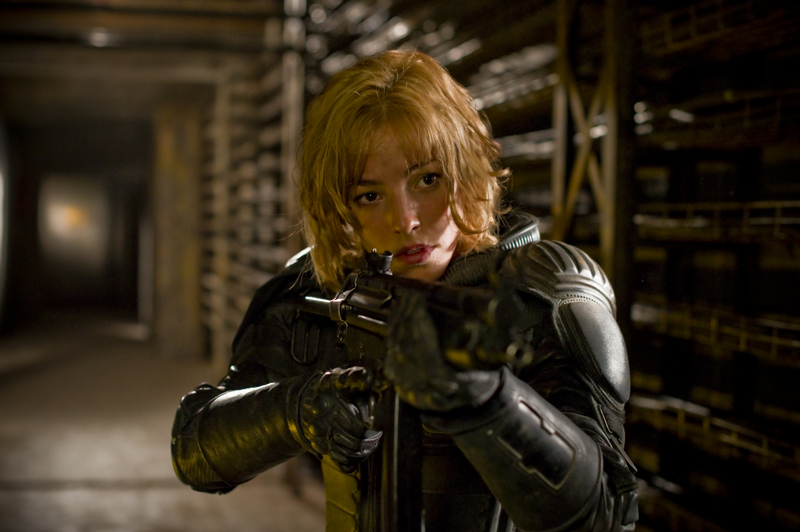 Judge Dredd (Karl Urban) is assigned to train and evaluate Cassandra Anderson (Olivia Thirlby), a rookie judge who may not be cut out for the job but is being given a chance because of her unprecedented psychic abilities. The pair attend a triple homicide at “Peach Trees” a 200-story slum tower block (essentially a small town/city within a single tower block) controlled by ruthless drug lord Ma-Ma (Lena Headey). When they become trapped in the building the judges suddenly have more to contend with than just the assessment as they have to fight for survival. The beauty and dare I say it the brilliance of the movie is its simplicity. Sylvester Stallone’s Judge Dredd went through an epic story with a large but ultimately uncharacteristic character arc. The development of the character as portrayed by Karl Urban is tiny and only exists as a reaction to Anderson whose character is constantly developing and evolving throughout the movie. Judge Dredd had a budget of around $90million (around $135million adjusted for inflation) the new movie was made for a more modest $45 million. With financial constraints come artistic solutions. 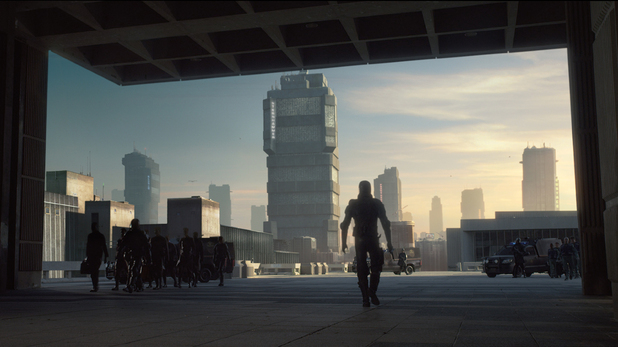 Dredd does this by confining the plot to a single tower block, think more The Raid (2011) than Die Hard (1988), and like these two movies it is set over a single day (and night). As a day in the life tale, the events are more significant to Anderson than to Dredd who is portrayed as an established character. 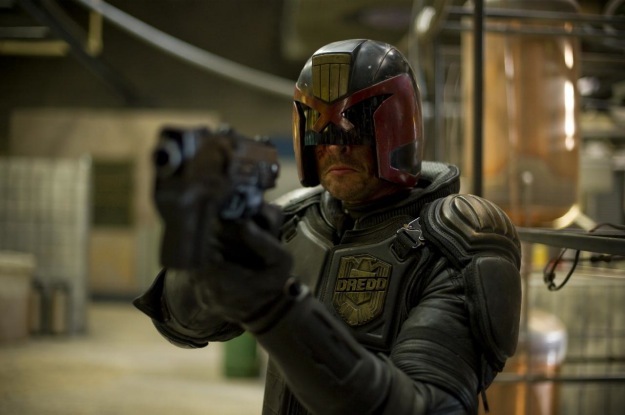 The casting is good, with Karl Urban (or at least his chin) making a convincing Dredd. 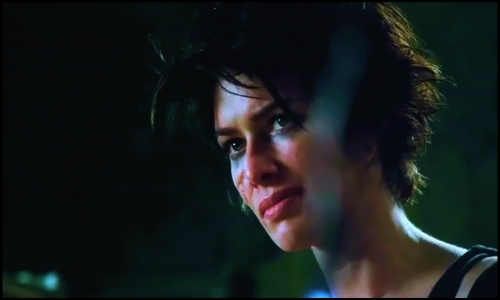 Olivia Thirlby and Lena Headey are also good. The rest of the cast is as disposable and insignificant as you would expect in a movie like this. Written by Alex Garland who is a self-confessed fan of the comic book and has ideas in place for a trilogy based on existing 2000 AD Dredd stories. As well as a striking look the production and costume design make for a more believable movie universe that the first film. Only enough information about the city and the judges is explained for the plot to make sense leaving the viewer wanting to know more. It has its problems, the 3D is jus as pointless as you would expect it to be. The film is really well shot with artistic style and flair, but the 3D hampers rather than improves this. Looking down the 200-story tower block does not give the same sense of acrophobia that we got from the Burj Khalifa scenes in Mission: Impossible – Ghost Protocol. The “Slo-Mo” drug and the effect it causes are overused within the plot without the appeal of it as a recreational narcotic been explored. The action scenes are well choreographed and films but lack originality or finesse.